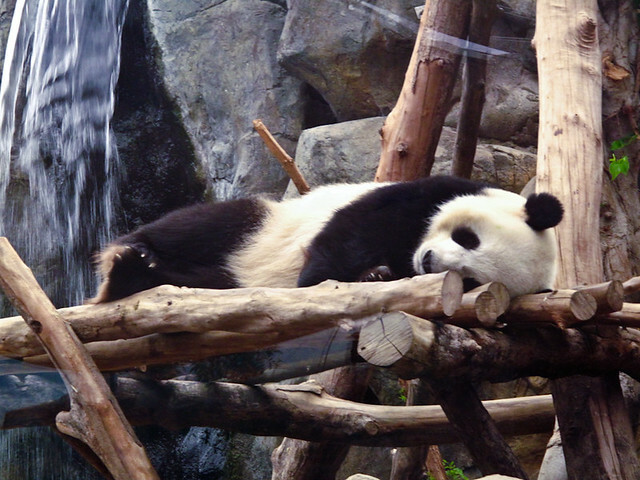 According to this site, pandas spend 54.86 % of the day looking for food, 43.06% for rest, and only 2.08% of time for play. 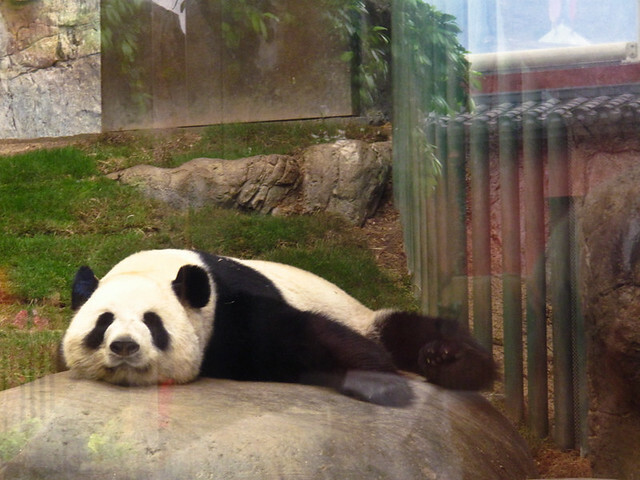 All a panda ever does is eat, play, and sleep. 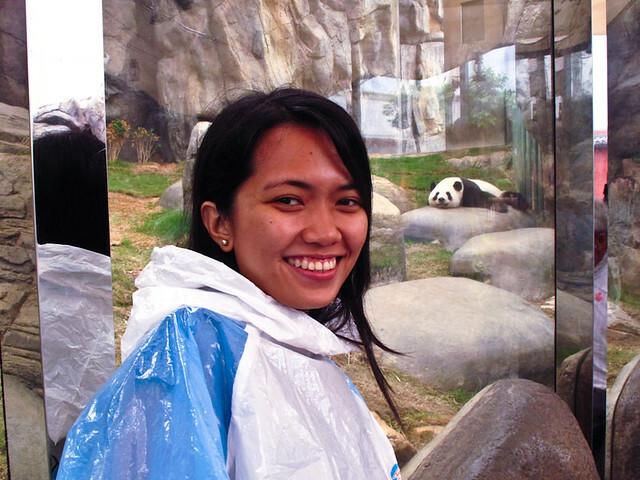 When we got to Ocean Park, we saw the pandas doing what they do half of the time.. resting. Sometimes they would stir in their sleep and raise their heads. These mere movements from the two always elicit a collective "Aaaw! That's cute" reaction from the audience. 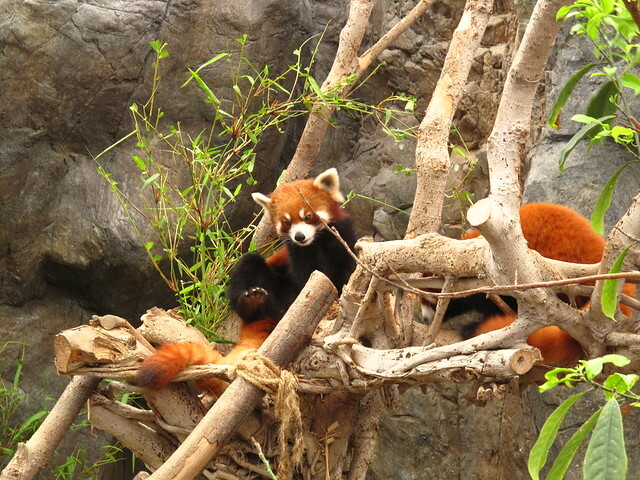 On the other side of the fence are the red pandas. They are smaller than the giant pandas and though they do not have that I-want-to-cuddle-you-now vibe, they work their charms on people. I think they look like an offspring of a fox and an ewok. But that's just me! What's the most adorable creature you've ever seen?